Late last year I posted a series on how to find good deals to support and bless your family, especially when finances are tight. The purse strings are still pretty tight around here and as summer approaches I start to think about what curriculum I’m going to start accumulating for school next year. I’ve already attended three homeschool used curriculum sales and I have three more to go to. I’ve been able to find about half of what I need, so I’m well on my way! I’ve also been using my sales on Craigslist to fund my buying for this coming school year. This has all come full circle!!! I clean out my house to purge 2014 items (or more) this year and then I sell some of it on craigslist so that I can buy more stuff! 😉 Wow! When I put it that way it doesn’t sound like such a great idea! 😉 But… I get rid of stuff I don’t need to purchase the school items I do need for next year, so it works! Even though we have had a busy school year and the summer is shaping up to be quite busy as well, I had to add one more thing… and not a small thing! Our church, Sovereign Grace Church of Fairfax has an annual book sale at the end of the school year. It specifically targets homeschoolers and used curriculum, but it does include all types of books. This year there wasn’t anyone to take it on, head it up, and organize it. I was super disappointed because I have SO benefited from this sale in years past… so… I decided if I wanted to see it, I had better step up to bat! So now I have a big project to organize along with all the other busy activities of home life! But I did it to myself and I’m wondering if it was really a good idea! But it’s too late to do anything about it now! So… Along with all the other advertising I’m doing for it, I thought I would also post it here. Some of my readers are no where close to the northern Virginia area, but there are some, and some of them are homeschoolers. So this may appeal to only a few, but here is the info! Saturday, June 21, 8 a.m.-noon. Proceeds benefit the Sovereign Grace Home Education Ministry. Please share this with anyone you know! We will be advertizing in the local community to help encourage many to attend. We also welcome vendors outside of the co-op or church, so please spread the word to your family and friends! 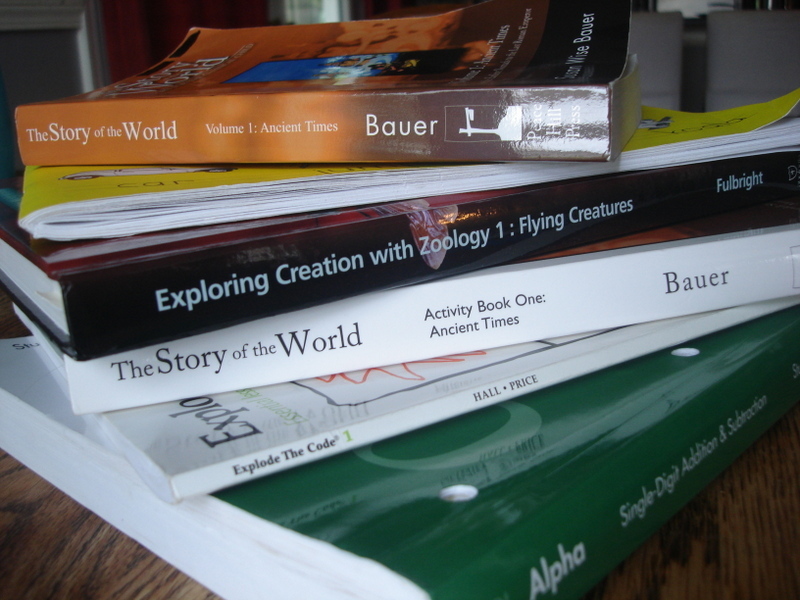 Do any of you have other good ways to find good deals on used or discounted homeschool materials? It can be SO expensive and I only have 1 in school with many more to follow! I’d love to hear!